Finns have something to smile about, having been ranked first out of 153 countries. 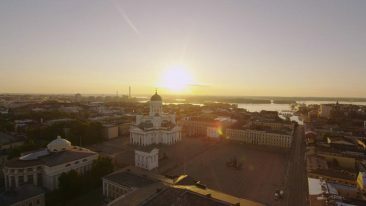 Finland has taken the top podium spot in the Good Country Index, which measures countries’ overall impact on the planet and humanity. The index examined 153 countries and evaluated how they each contribute to or burden the global common good, providing a country-specific balance sheet. It is based on 35 criteria and divided into seven categories, such as contributions to science and technology, planet and climate, as well as peace and security. Finland ascends to the top of the ranking from fourth place in the previous year. Relative to country size, Finland is ranked the highest in press freedom, cyber security, environmental agreements compliance, food aid and number of patents, to name but a handful of criteria. “The recognition is good for Finland’s internal discussion and atmosphere. Let’s be proud of ourselves for a moment and let’s continue to pursue even better results,” Soini continued. The index was first presented by independent policy adviser Simon Anholt at a TED talk in 2014, and it set out to measure the national commitment to global issues. “This is not about money,” explained Anholt at the time.